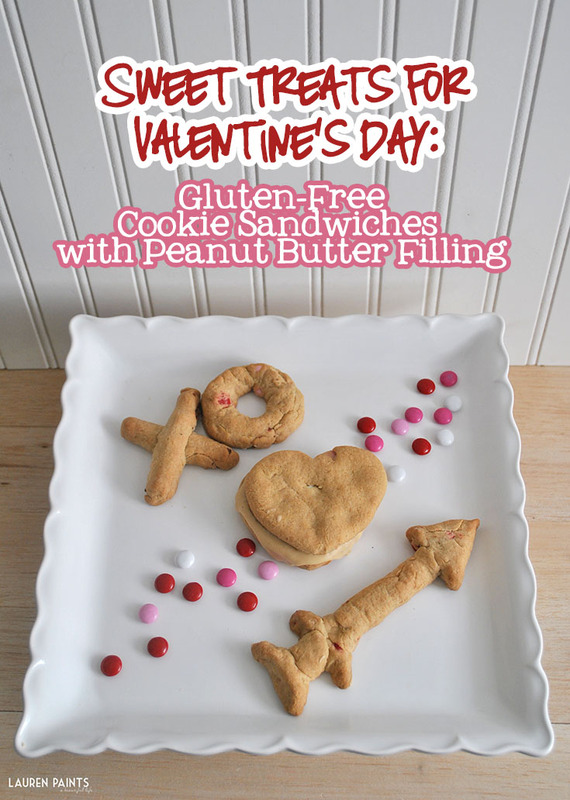 Valentine's Day has to be one of my absolute favorite holidays, my hubby on the other hand thinks it's a cheesy holiday so this year I'm trying to get him more in the spirit by giving him treats that I know he will love. I'm going to be leaving little surprises for him around the house and just trying to set the vibe for the most romantic holiday! They say you win a man's heart by pleasing his stomach, so of course I treated my man to something tasty this week. I know I'm dieting, but my sweetheart is one of those lucky people that can eat whatever they want and not gain a pound. 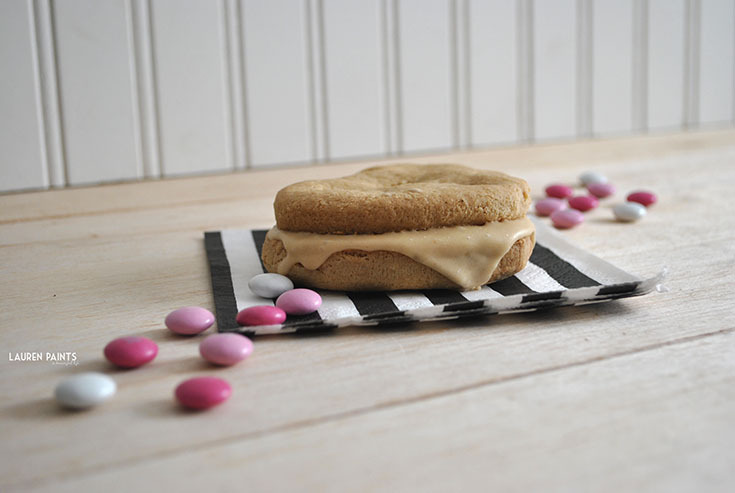 That means I spoil him with sweets regularly so this time I really had to make something extra special and I must say I absolutely outdid myself, I made him the most delicious cookie sandwiches on the planet! I'll note: My filling didn't turn out as planned, it was a bit runny and I ran out of confectioners sugar(noted in my recipe)... 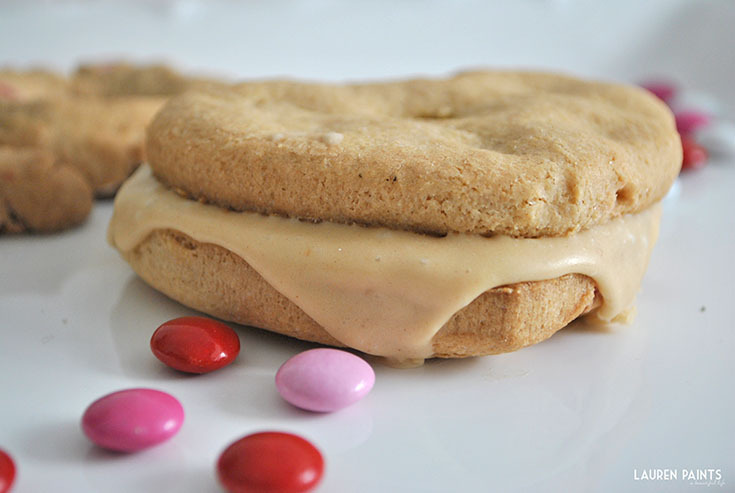 But the good news about my "mishap" is that the runny filling makes the treat that much more delicious, gooey peanut butter filling on a M&M cookie sandwich, the perfect treat to surprise your Valentine! 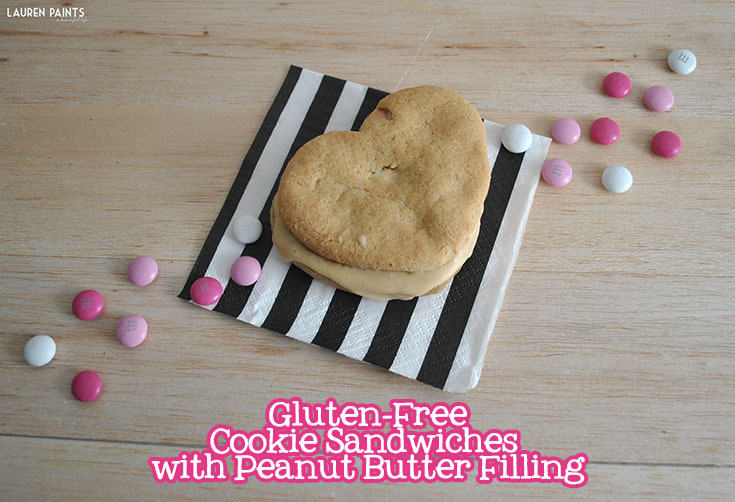 I'm also happy to say that the recipe is pretty easy to make as well! I love a quick recipe that tastes beyond delicious and this one won't disappoint... so grab your apron and oven mitts and get mixing! 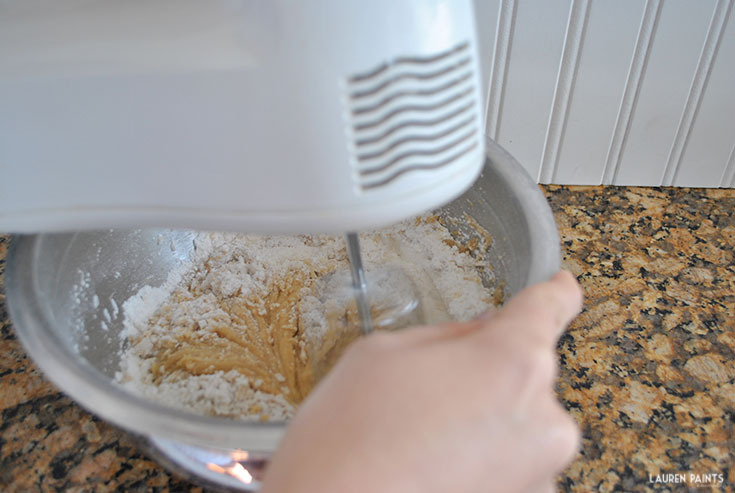 In a mixing bowl, sift together flour, baking soda, granulated sugar and salt. 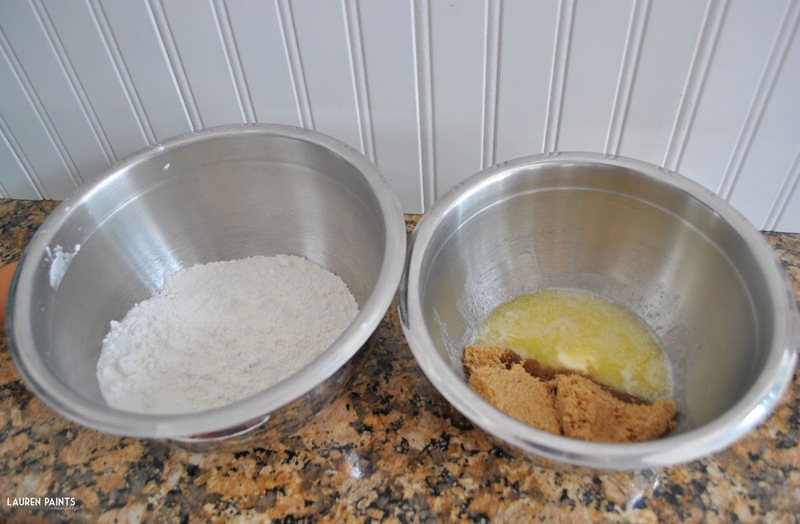 In a different bowl, mix together the melted butter and brown sugar. Mix until well combined, then mix in the egg and vanilla extract. Add flour mixture and mix just until combined; do not over mix. Preheat oven to 325F/165C. 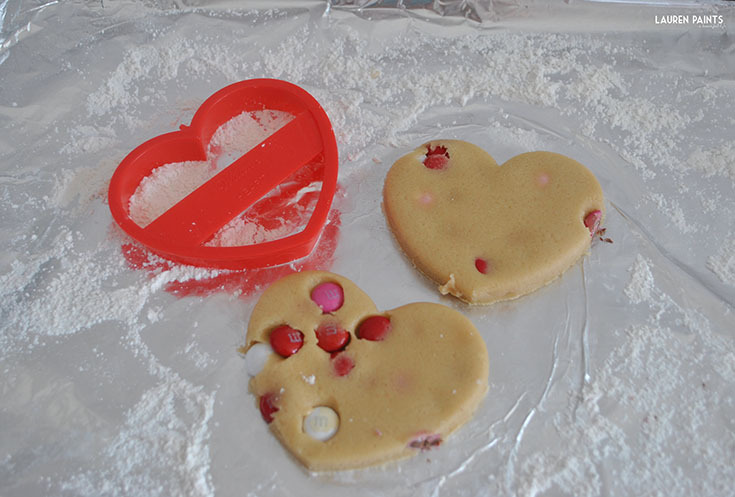 Line pans with foil or parchment paper and cut shapes using cookie cutter. 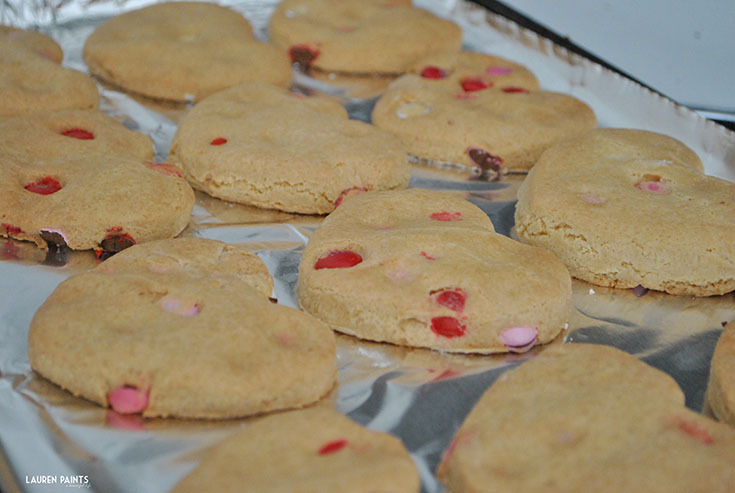 Bake for 10-12 minutes, or until cookies begin to brown at the edges and the center is still soft. Let cookies cool for a few hours, then prepare filling. In a mixing bowl, combine cool whip, yogurt, and vanilla extract with a mixer. 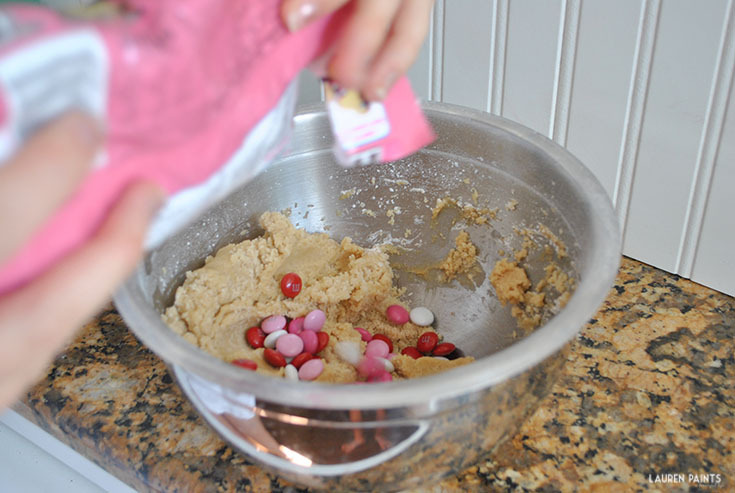 Add confectioners sugar into the mixture in small amounts at a time. Add in peanut butter and mix completely. Allow the filling to thicken in the fridge or add additional confectioners sugar to the mixture. 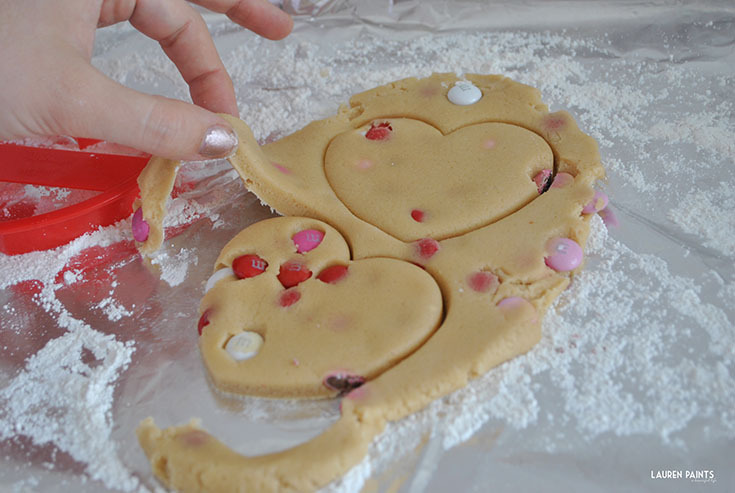 Apply a thick layer of filling/frosting to one heart cookie bottom and place another cookie on top. Are you as jazzed for Valentine's Day as I am? 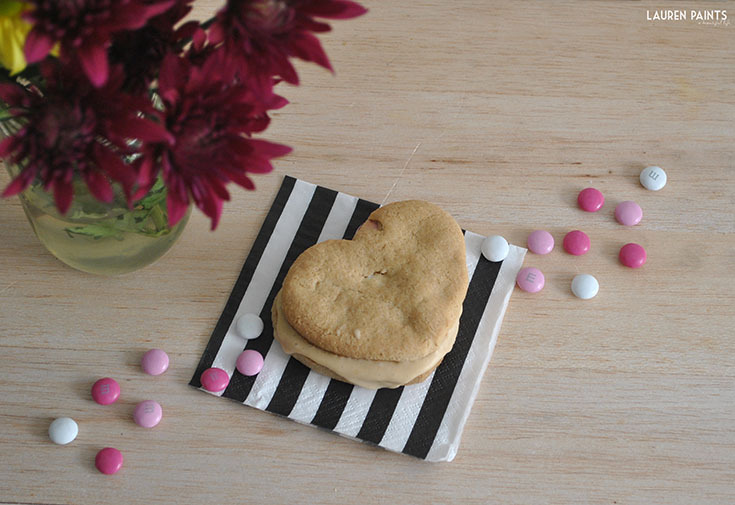 What fun activities and tasty treats do you have planned for your sweets? I'd love to hear all about your plans for V-day below!